I drew this for the Illustration Friday topic, brave. This drawing is based off one of my favourite scenes and songs in the 1987 film The Brave Little Toaster. The scene is when the main characters get taken to a parts shop and meet some freaky looking appliance characters. 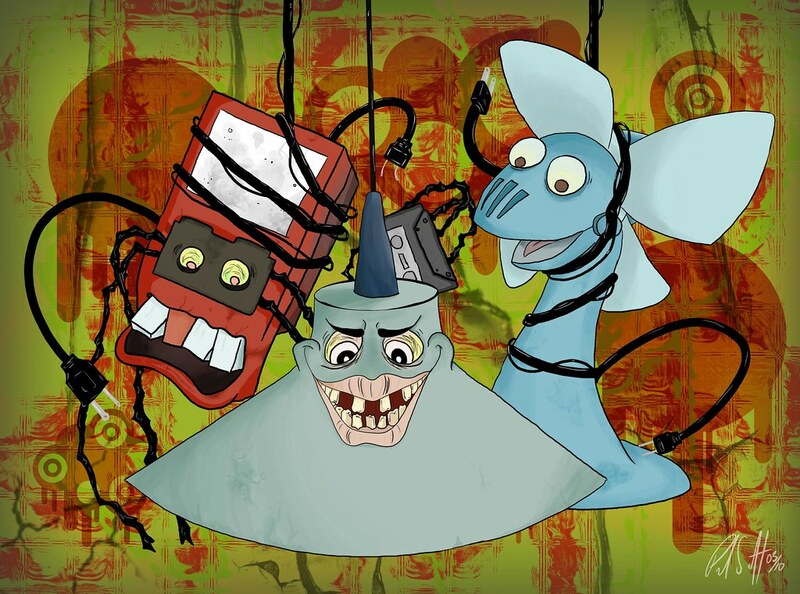 My drawing features three of these characters, a hanging lamp, a cassette player and a fan. In the scene you witness a blender being murdered, followed by an amazing song (with some old horror film references). Check out the song and my rough sketch after the jump. The whole movie is fantastic, and despite being intended for children, appliances get murdered, commit suicide, attempt suicide and have freakish nightmares, so I find it quite dark.. I really enjoyed making this illustration. 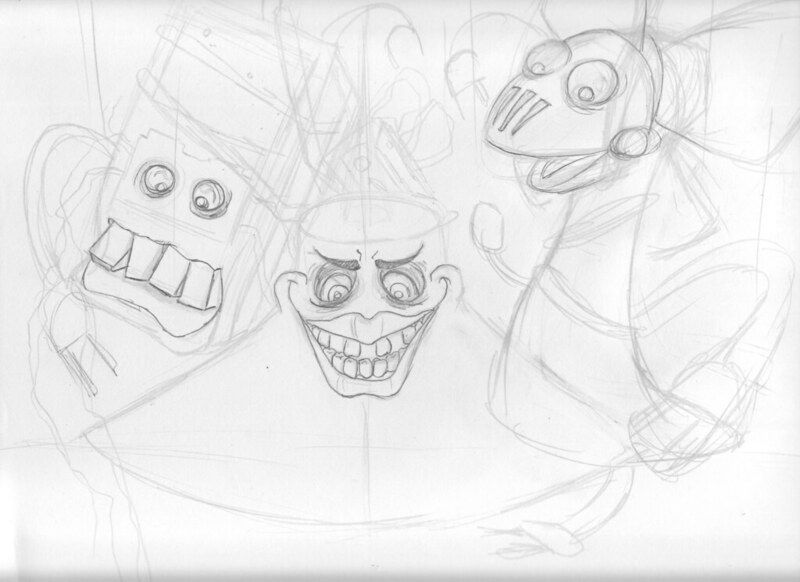 Here's my rough sketch for this illustration. Nice concept and great lines and colors! I love this movie! it is funny i actually just watched it on sunday while i was painting! very well done illustration as well I really like your line work. That movie terrified me as a kid, but I still loved it! Those teeth on the middle guy are spectacularly gross- nice work!